The District of Columbia City Council Committee approved an amendment Thursday that will allow 16 and 17-year-old residents to vote in federal elections if the measure is approved by Congress. 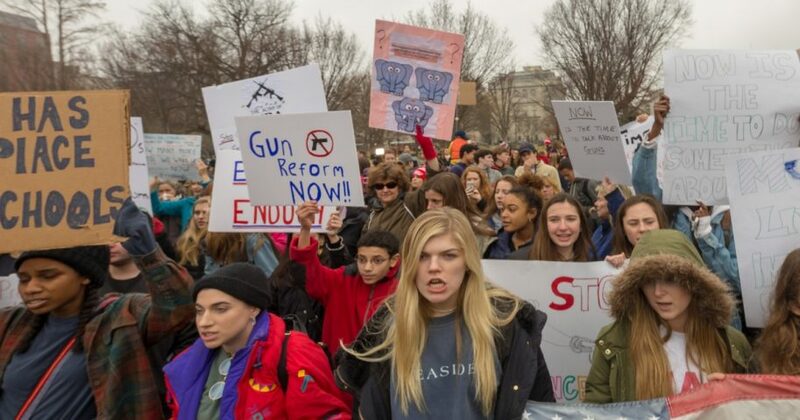 The committee unanimously approved the Youth Vote Amendment Act of 2018 for a full council vote Thursday, according to WUSA9. “I want to vote because I’m a 16-year-old Latina in D.C. and policies like gentrification, gun violence, public health and public safety and education really do affect me and affect my community and my friends,” a teen representative of Vote16DC Helisa Cruz said, WUSA9 reported. “It would give me a voice to say how I feel and what policies I agree and disagree with, because I do pay taxes and I drive. We contribute to society, so it would really give me a voice and I would definitely use it,” Cruz said. Maryland’s Takoma Park, Hyattsville and Greenbelt permit 16 and 17-year-olds to vote on referendums and local elections. Berkeley, California also allows 16 and 17-year-olds to vote in school board elections. There are roughly 10,400 16 and 17-year-olds residing in D.C. according to the D.C. Office of Planning estimates, WUSA9 reported. The bill will be presented to the full council Nov. 13. The D.C. Council passed a measure in early June permitting seniors in D.C. public schools to graduate even if they missed over six weeks of school. The move came after 2018 projected graduation rates indicated that 42 percent of students in D.C.’s public schools would graduate in June. D.C. ranked 49 out of 51 in terms of public education quality, according to a July report. The District’s public schools had the highest dropout rate and lowest reading test scores of any U.S. state, the study reported. Youth Vote Amendment Act of 2018 will head to Congress for a 30-day review if the full council approves the measure in November. Tags: voter fraud, voter ID laws, voting, Washington D.C.